Bluetooth is a wireless technology that allows you to connect to the Internet, mobile, cars, mobile phones and satellites without having to manage the ever-entangling cables. Bluetooth car kits enable you to have a wireless access to your mobile phone and navigation system, and you don’t even have to take your phone out of your pocket! Once your phone is linked to your car’s Bluetooth kit, you can receive or make calls with the help of controls at the dashboard or steering. You can also access your phone’s music with these controls. Bluetooth technology gives you uninterrupted entertainment and connectivity, and prevents a lot of accidents that occur due to the usage of mobile phones in cars. You can access Tata Tiago’s Bluetooth through the central console on the dashboard. Pairing your phone with the car’s infotainment unit via Bluetooth is also very easy. Even the iOS can be connected via Bluetooth to play music or receive calls wirelessly. 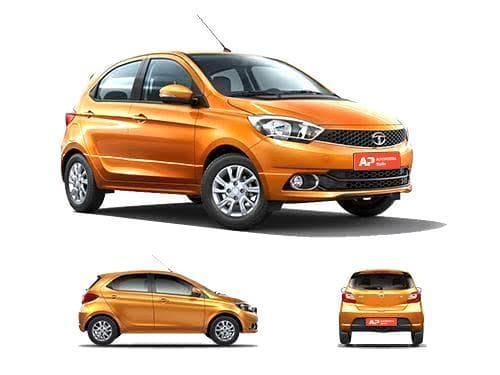 The variants of Tata Tiago that offer bluetooth connectivity as standard include JTP, Revotorq XT, Revotorq XT(O), Revotorq XZ, Revotorq XZ Plus, Revotorq XZ Plus Dual Tone, Revotorq XZ w/o Alloy, Revotron XT, Revotron XT(O), Revotron XTA, Revotron XZ, Revotron XZ AMT, Revotron XZ Plus, Revotron XZ Plus Dual Tone, Revotron XZ w/o Alloy, Wizz Edition Diesel, Wizz Edition Petrol. The variants of Tata Tiago that do not offer bluetooth connectivity as standard include Revotorq XB, Revotorq XE, Revotorq XE(O), Revotorq XM, Revotorq XM(O), Revotron XB, Revotron XE, Revotron XE(O), Revotron XM, Revotron XM(O).